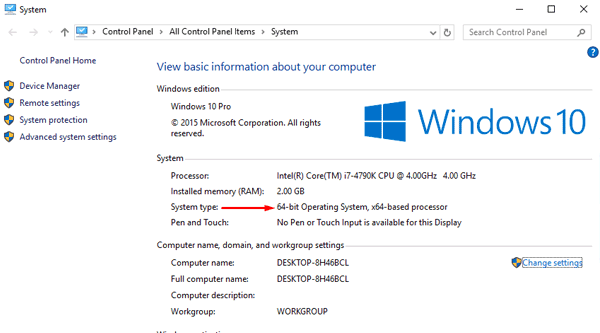 Is very important to know if you are running a 64-bit or 32-bit version of Windows in case you are installing a new hardware or update existing hardware driver. To check what version you’re using on Windows 10 or Windows 8, just search for “System” and press enter or select it from the results. You’ll immediately see the version you’re using, whether 64-bit or 32-bit. 1. Click on the Start Orb-> right click Computer-> Properties.